I love black and white photography, and it is always so beautiful when used for silhouettes. I find that B&W can make even the most simple hallway or hotel room look more elegant. 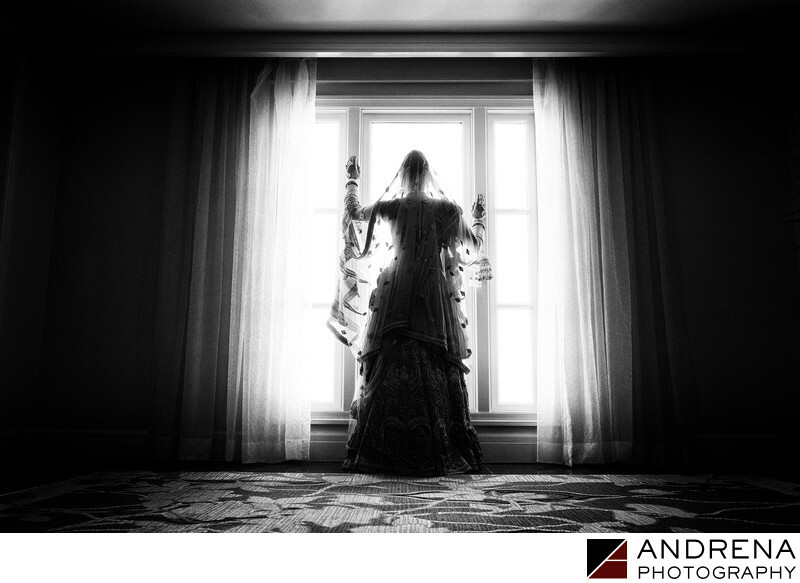 For this image, which I photographed at the Ritz-Carlton Laguna Niguel, I positioned the bride at the window, then got low on the floor to shoot upwards. In this way, I added a bit of scale and avoided the keystoning that might have occurred had I stood. I love how the detail in the black fades to nothing, while the detail in the whites opens up to reveal the bride. Indian wedding photographed at the Ritz-Carlton Laguna Niguel in Dana Point, California.